Abidjan, 22 March 2019. Previously referred to as ALISA, the Economic Community of West African States (ECOWAS) Customs Interconnection Project is now termed SIGMAT (the Regional Customs Network for Transit Trade). The decision was reached, among others, at the project’s kickoff meeting held in Abidjan, Cote d’Ivoire on Friday 22 March 2019. The meeting updated the Directors-General of Customs of West Africa on the selection of IT experts from the Customs Administrations of the Community to provide further training on programming in general and the ASYCUDA transit module in particular. The training, funded by ECOWAS, was organised under the aegis of the United Nations Conference on Trade and Development, the technical partner for the project. Consequently, the West African Community now has five seasoned developers with in-depth knowledge of the design of the computerized transit trade system. These five developers are now capable of providing support to any ECOWAS Member State wishing to appropriate the new IT solution. 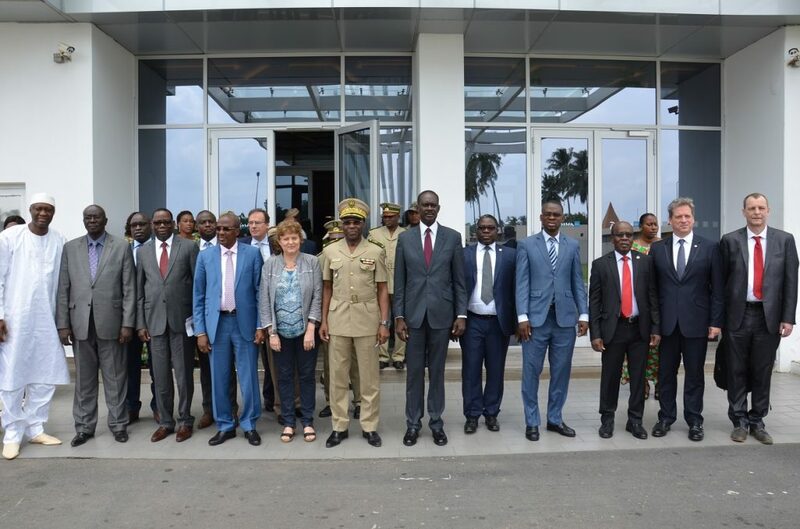 ECOWAS Commission presented the Directors – General of Customs with the deployment plan for all the Member States. The Commission has called for active participation and support from Directors-General of Customs Administrations of the Community in the establishment of this ambitious programme which will in the coming months mark a forward stride in the regional economic integration process. 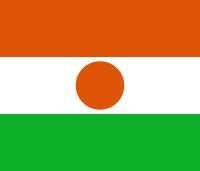 through the provision of technical and financial support tailored to the needs expressed by each Member State. They also urged ECOWAS Commission to take necessary steps towards the formulation and adoption of a legal framework and a manual of procedure to accompany the implementation of the automated system for transit trade in West Africa. The Directors-General of Customs further recommended that the Commission should not delay the consideration of transit trade by rail in order to avoid diversion of traffic to the railways. They equally requested the World Customs Organisation Vice Chair for West and Central Africa, Sangare Toumani, and the Ivorian Director-General of Customs, General Pierre Alphonse Da, to engage in advocacy with government authorities and the ECOWAS Commission President, for a rapid deployment of the IT solution for transit trade in West African Member States. Earlier, at the opening ceremony of the meeting, the Director of Cabinet of the Secretary of State under the Ivorian Prime Minister in charge of Budget, Adama Sall, had invited ECOWAS to ensure close monitoring of SIGMAT through necessary periodic evaluations and adjustments to match the evolutions in international trade, an essential factor for sustainability and efficiency. The ECOWAS Commissioner for Customs, Trade and Free Movement, Tei Konzi, representing the institution’s President, Jean-Claude Kassi Brou, gave a brief history and recalled some advantages of the SIGMAT project. “The Customs interconnection project was designed by ECOWAS with the technical support of UNCTAD. The project is aimed at the digital transmission of data on transit goods to the different customs administrations, prior to despatch. This way, the network will provide customs officers at transit and destination points with information on the transit goods well before the arrival of such goods”, stated Mr Konzi. He thanked the technical and financial partners including UNCTAD, the European Union, World Bank, and the German Cooperation for their support during the project preparation and launch. He expressed the hope for an even more solid support during the deployment phase and particularly within the framework of the West African trade facilitation programme. Aside from Commissioner Konzi, the Commissioner for Telecommunications and Information Technology, Dr Zouli Bonkoungou, the Director of the ECOWAS Commission Community Computer Centre, Dr Osei Tutu Agyeman-Duah, the Director of Customs, Salifou Tiemtoré, and the Ag. Director Communications, Liberor Doscof Aho, were also in attendance at the meeting. 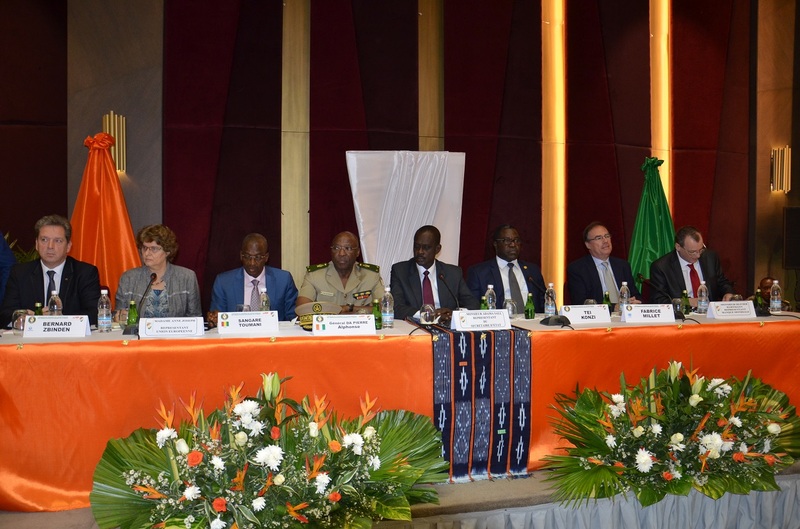 It is worth noting that on the sidelines of the meeting, the Director-General of Ivorian Customs, General Pierre Alphonse Da and his Burkinabe counterpart, Adama Sawadogo, signed the framework instruction for road transit between Cote d’Ivoire and Burkina Faso.